There has been two years since we talked about this and in this time Apple have diched iPad minis in favor of larger iPhones. So since we have bigger screens for what seemed too much clumsy info for a phone back in the day, maybe it’s time to rethink and contribute a GTL version for mobile. Maybe a LE version? Maybe an AUv3 new reduced version to fill some gaps? I agree @dubbylabby, i'll get working on the iPhone version again soon. The question is, how to market it? I like the AUv3 idea, I was thinking of dong something like this anyway. 3- Universal version just GUI adapted. It will be _theoretically_ easy to maintain but I saw more drawbacks than pros to this option from strategic POV. So I think the idea of rebuilding the GUI alongside a simplification of the workflow is the way to go inside a bigger strategy with converging workflow/versions into the future. Taking in mind how Apple point guidelines (now seems AUv3 is the way to go and IAA will be deprecated being a compromise solution to AB competition). Some users will get pissed off but we must understand this is a business and compromises must be taken. To keep the win/win scenario AUv3 seem the most straight forward and future proof approach. Probably someone is working on it meanwhile we talk but GTL 1.4 has reached a sweet moment (and my day before release post totally lucky spotlight) seems to became a success for your app (maybe a soundtestroom review will be even better...)... what I want to say is get profit for the momentum and ask new users about AUv3 simplified version for iPhone and regular AUM/DAW hosting lovers. A sample recorder/player with timestretch has lots of user request at AB forum. Let’s talk about iPhone simplied workflow as AUv3 basis then. maybe a swipe song parts instead more than one instance? IDK what is better from performance bug ironning side but multiple instances looks more flexible IMHO. 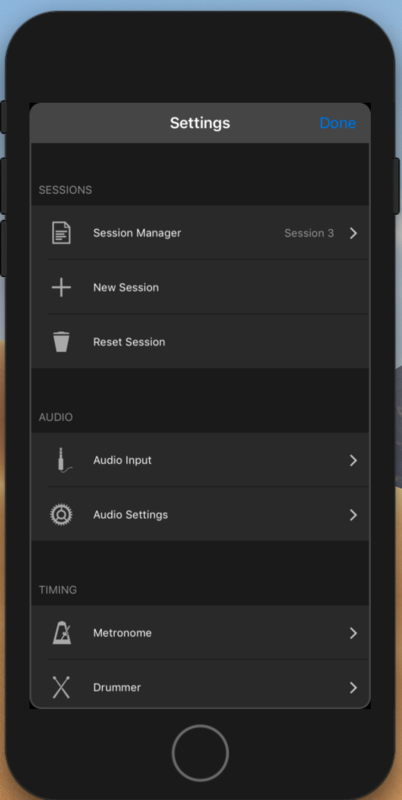 About GUI controls... swipe and “edit/import in GTL/AudioShare” alongside the Files.app actual support. Outside AUv3 hosting as standalone iPhone version maybe a cramped main group om top (square without waveform but color as I explained in the wishlist topic) and song part bigger, an arrow to right, new song part button... I need to draw it! Some great ideas here @dubbylabby. I suspect I would go down the universal road with AUv3 embedded. 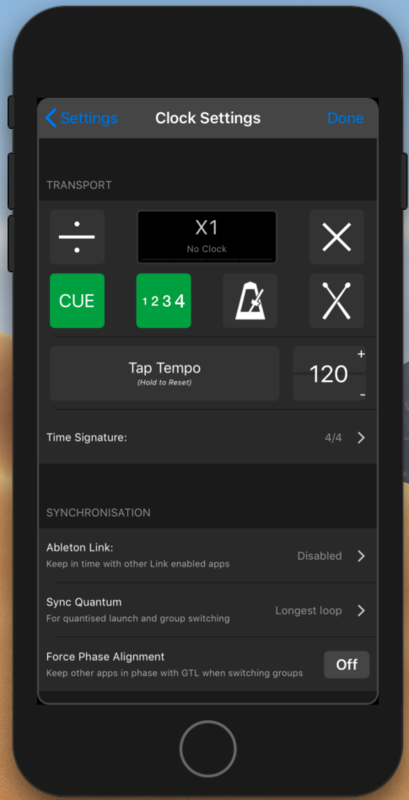 Therefore it would be one app, rebranded as GTL Pro, with an iPhone, iPad and AUv3 extension. Would this work out financially, I'm not sure. Technically everything is in place to make this possible but it would require quite a lot of GUI work and that won't happen over night. Hi @dubbylabby, wow some great work thanks! I love the colours, interesting idea with the pickers. Your Auv3 implementation is nice too. I like the way it loads as a single group. Synchronisation between groups could be done over the network or some sort of inter app protocol. Really appreciate your input thanks! @Jack I’m also super interested by iPhone version, both standalone and AUV3. 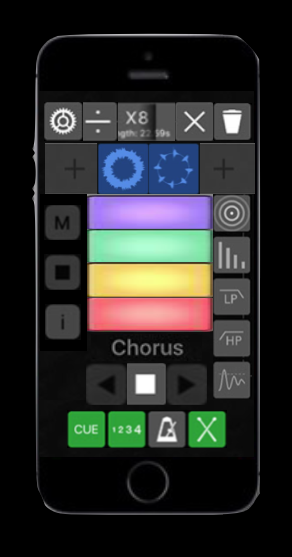 Loopy is nice on iPhone, but proper loop grouping misses, so grouptheloop should be a very nice addition for iPhones musicians (ok we’re not a lot, but more apps will go universal more interesting will become that device for music making!!). I’m working on the iPhone version now so it should come with the next update, well that’s the plan anyway. > I’m working on the iPhone version now so it should come with the next update, well that’s the plan anyway. That’s great news!!! We can do really good things with today’s iPhones, and that’s with maximum mobility and portability: studio in the pocket!! On looper side Loopy used with Audiobus and AUM is really capable. But loop groops are a problem, I’ve just bought LP-5 for that purpose but it’s not stable enough for making live music safely. @janosax, I’d like to get the beta out in a month or so but these things often take longer than anticipated. An AUv3 version is certainly on the cards but it won’t be for awhile yet. Thanks for offering to beta test, if you could message me your email I’ll send you an invite when it’s ready. @Jack ok thanks pm sent! In fact I’m more interested by standalone version for live looping, but AU will be a must for production in modular hosting environment IMO. I'm agree about monolithic apps but also with the AU must. I would also love to do beta testing. I have an iPhone 5, hope this is enough. I was putting order in my different setups and I noticed something I will love to discuss with @Jack . When an app becomes universal which means in terms of retrocompatibility? It's mandatory to support all the different screen sizes or it's possible to ditch some just for usability limitations? I ask this because even I will love to see an universal GTL app (alongside AUv3 version) I can understand make it working on iPhone 5s (let's say 64bits units and above) seems a bit PITA from UIX design side. Let me explain it a bit to put some light in my idea. portrait mode show just the active group and two arrows for go previous/next? I need to mockup this. Top row has the factor buttons, swipping left from center divides, swipping right multiplies... swipping up sums by factor... swipping down rests by factor... all of these are also buttons but it could be toggleable (on/off) at preferences. Actual group (with color assignment for better ableton export). Comment, improvements, criticism... is welcome! Hi @dubbylabby, sorry for the delay relying! GTL iPhone should work with all screen sizes, well that's the plan. I've not got round to testing all devices yet but for the smaller screen sizes there maybe fewer loop spaces available. Yes I've done this, in portrait mode on the iPad or iphone only one group is displayed. No arrows but still the usual drag to navigate the groups mechanism. Yes I've reduced the width of the master group loops, although I've gone for two rows as the iPhone offers more height in portrait. Top row has the factor buttons, swipping left from center divides, swipping right multiplies... swipping up sums by > factor... swipping down rests by factor... all of these are also buttons but it could be toggleable (on/off) at preferences. Oh nice, I've done the swipe left/right to multiply but not up and down. So would that result in something like x2, x4, x6, x8? I've got rid of this on the smaller screens. Since I introduced AUv3 effects, I allowed users to tap on the insert slots to add new effects, so we can just adopt this approach on the iPhone. Nice idea, I hadn't thought of this. At the moment these buttons are exposed by tapping on the clock view. I’ve taken a screenshot of one of your pic and zoomed in and that looks great on my 7 Plus. Yes or by factor you have selected as usual. Yes I feel my design it's clumsy and I probably will hate it in my 5s but also too much pop-ups or so will be crazy... I put the arrows on groups but I'm one of these who use looper apps with external midi gear 100% times. Touchscreens, sweat and music are ingredientes for wrecking a ball gig IMHO. I have even consider buying a Digitech trio+ for my live gigs even being so limited in comparison with GTL... shame trio+ hasn't midi out and beatbuddy is expensive and lacks over the bass/drum creation from audio input. @Jack so how is going iPhone version? Does beta testing beginning soon?